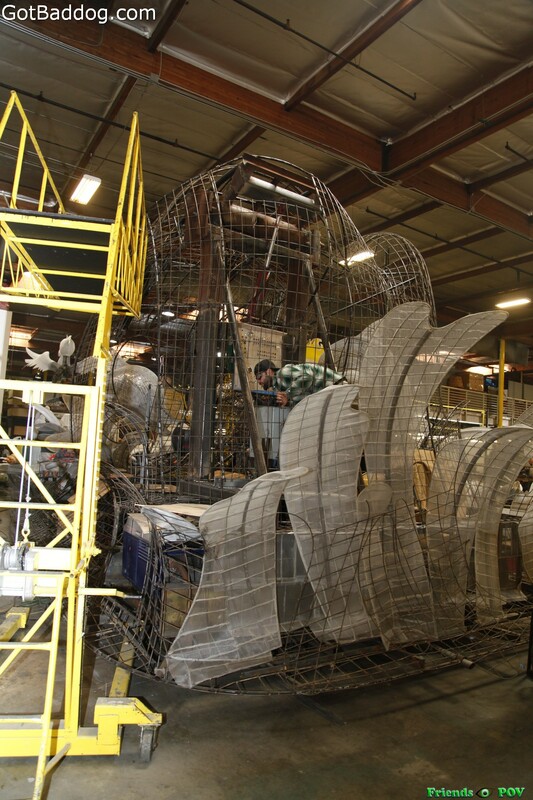 At this phase of the construction, it is just that, construction. 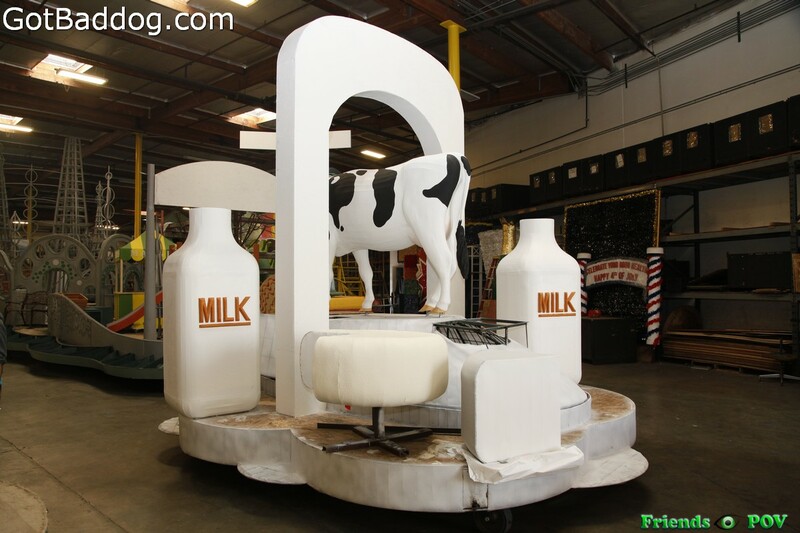 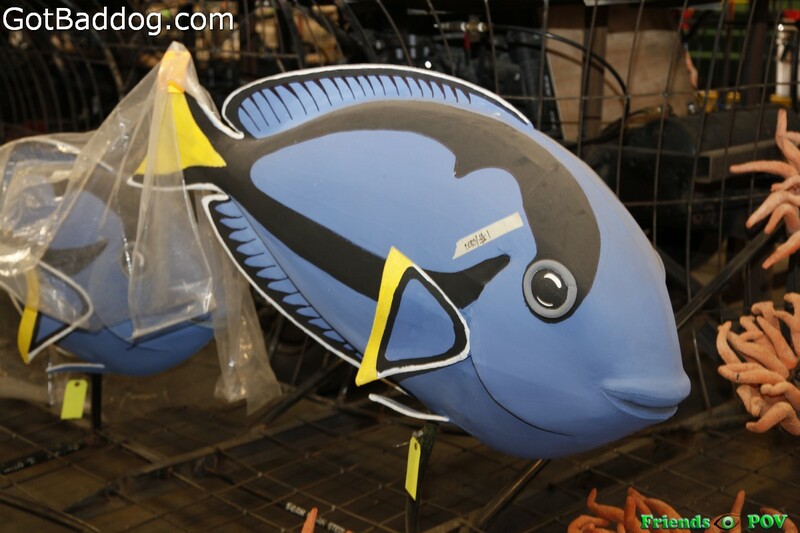 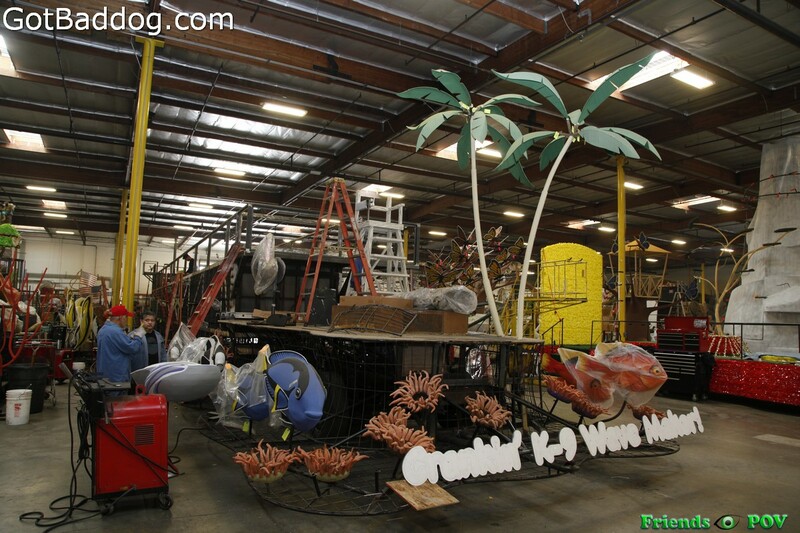 Some of the floats have a few props attached that might give you an idea of what the float’s general theme might be, but that is it. 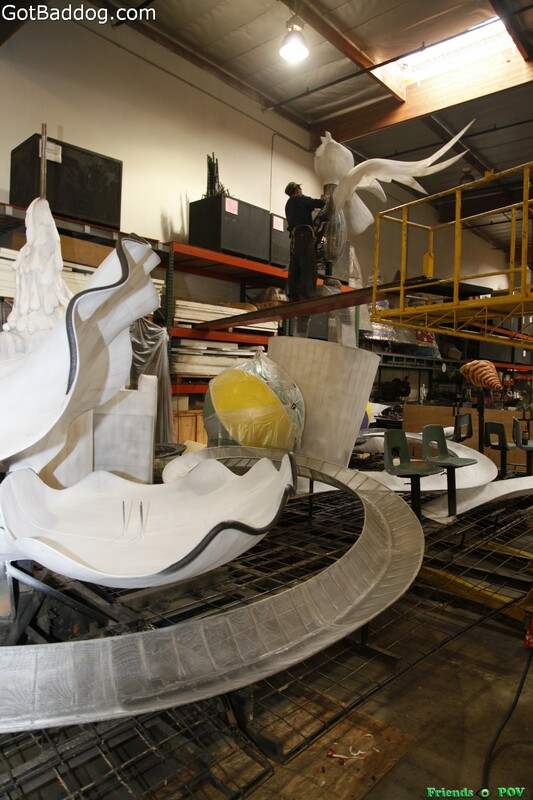 In a few weeks the warehouse will smell of glue and flowers, but now the aroma is of paint and metals being welded; in other words a shop. 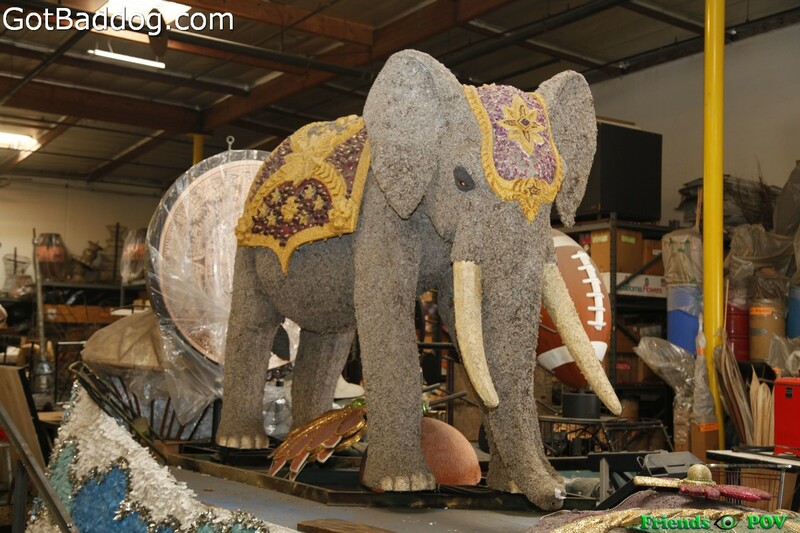 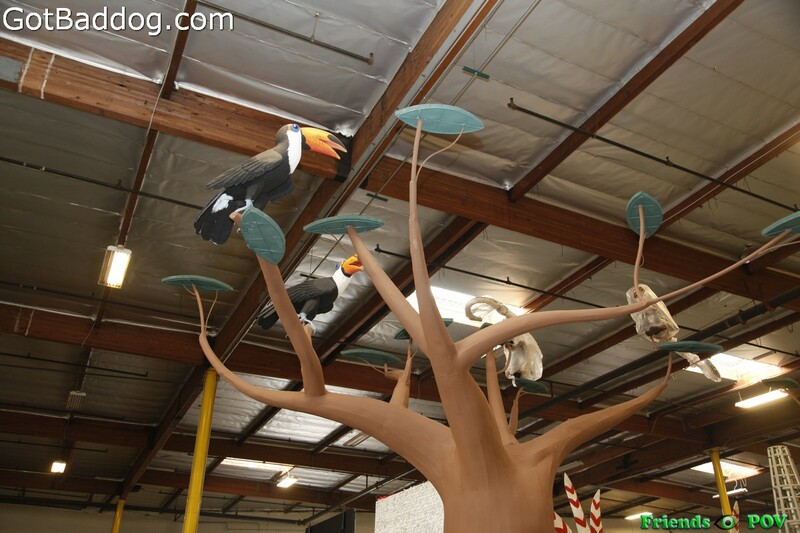 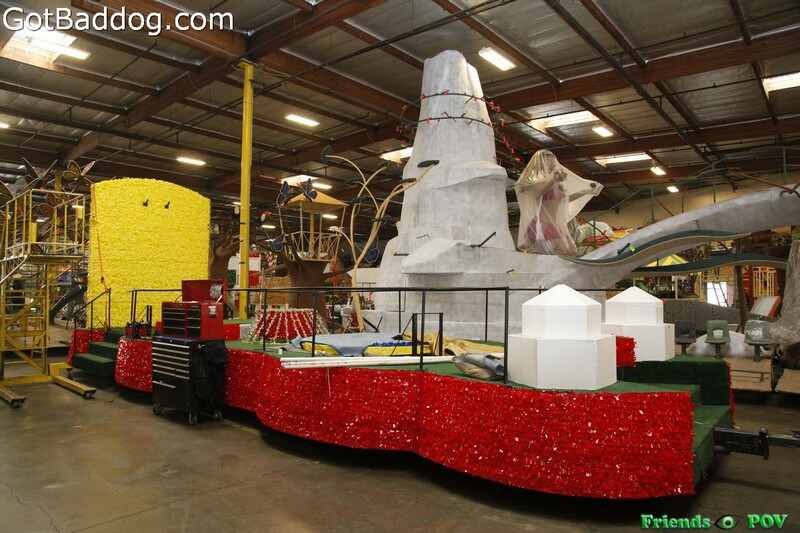 Since New Year’s Day 2017 falls on a Sunday, and the Rose Parade has their “Never on a Sunday” policy, everything involving the decorating falls back a day. 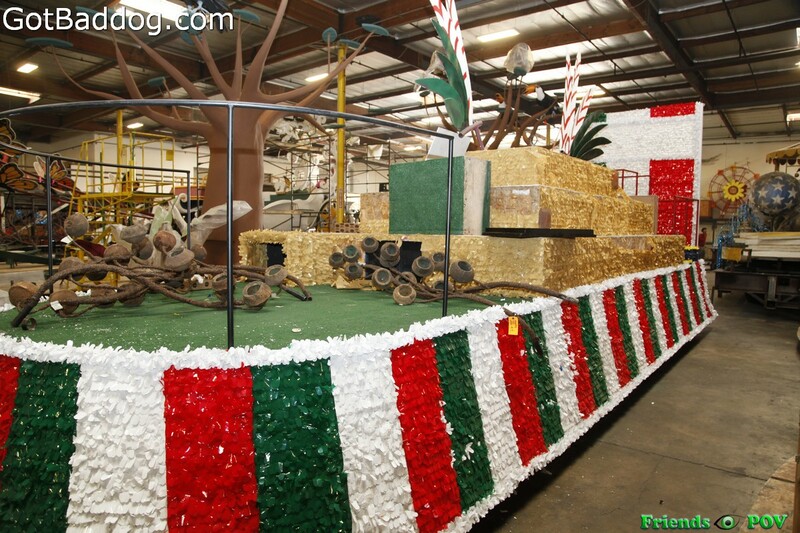 Usually, decorating would begin the day after Christmas, but because of Never on a Sunday, decorating will not begin until Tuesday, December 27. 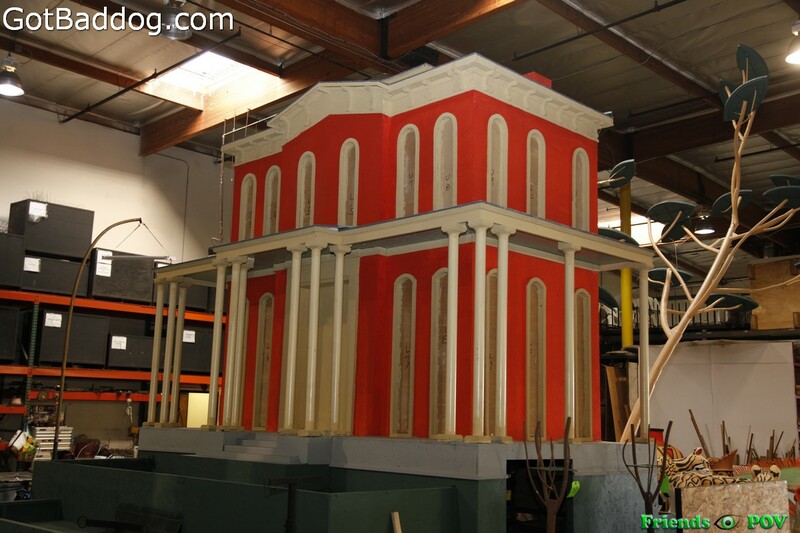 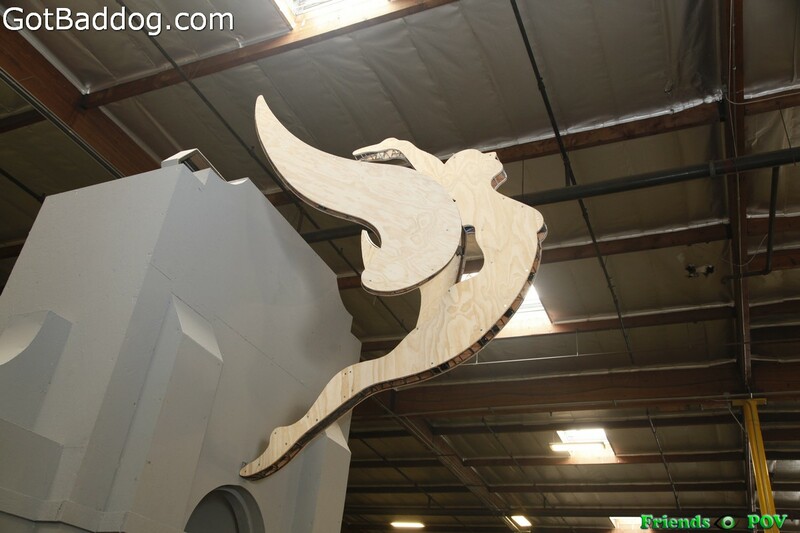 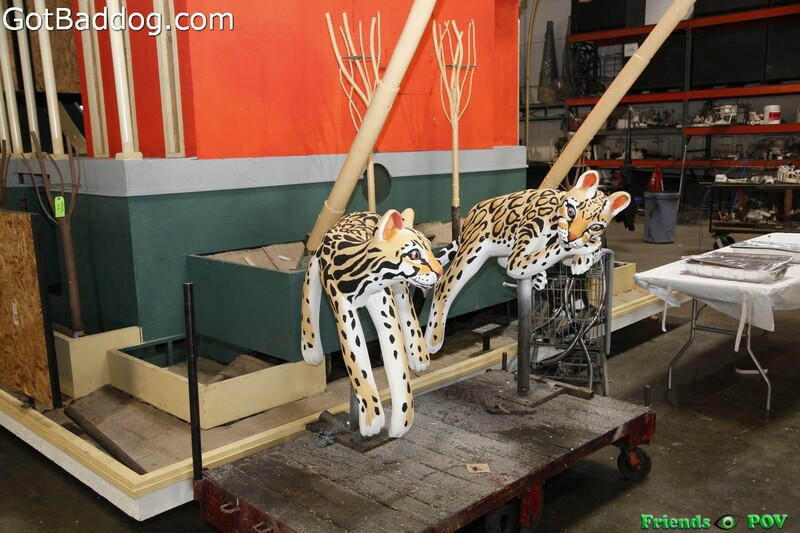 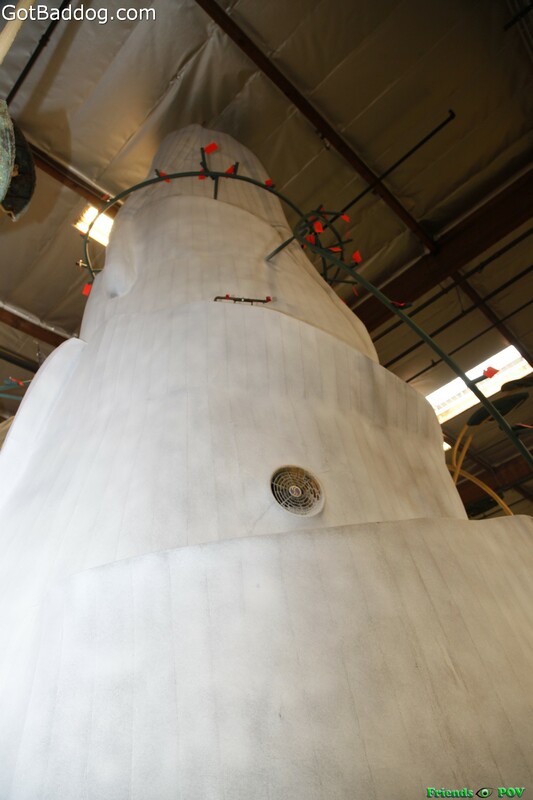 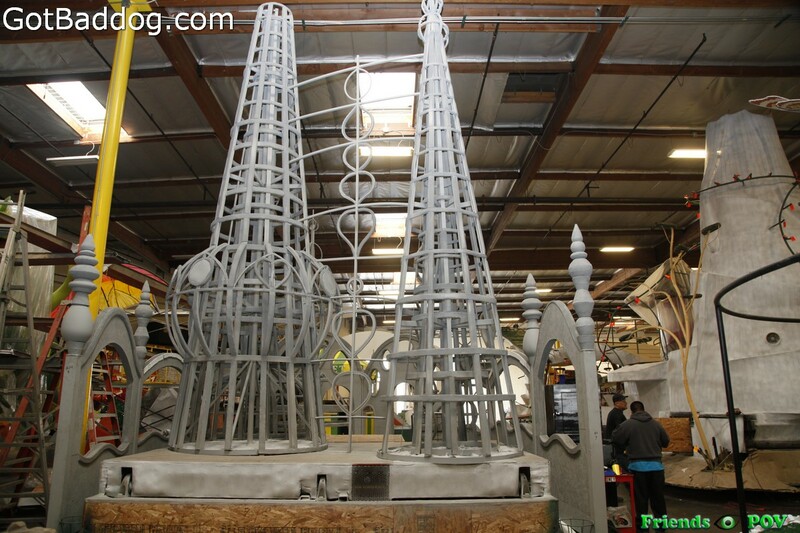 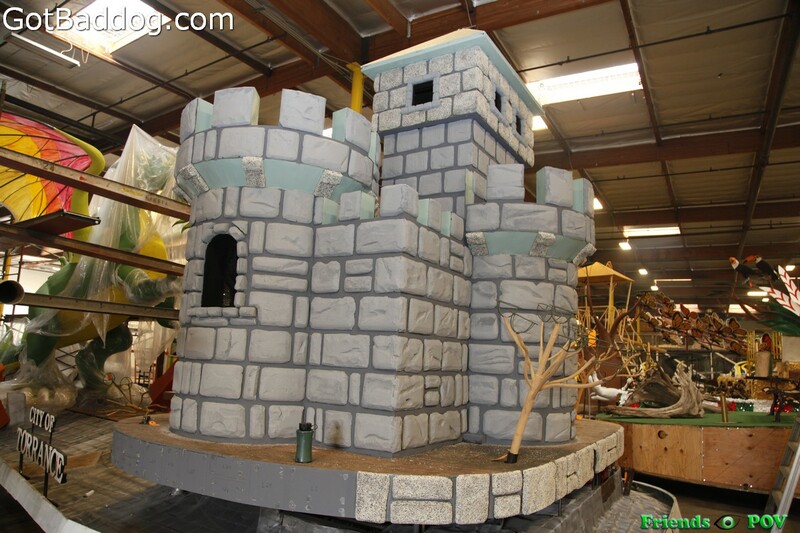 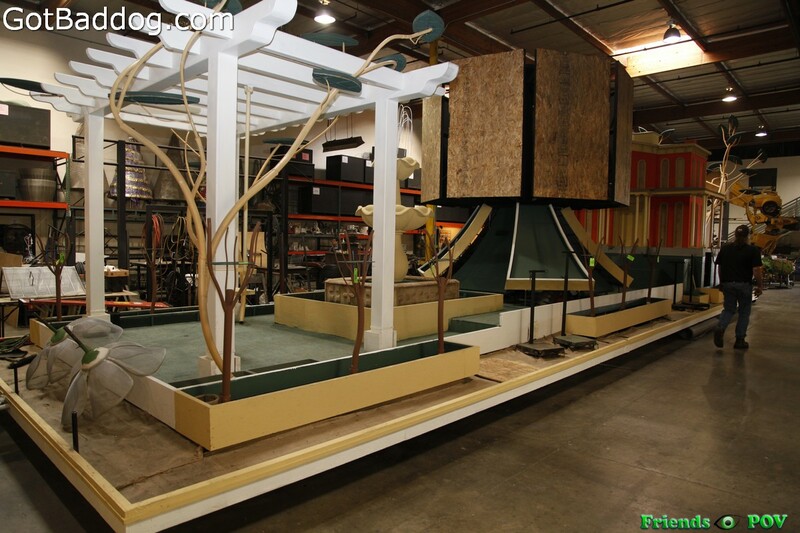 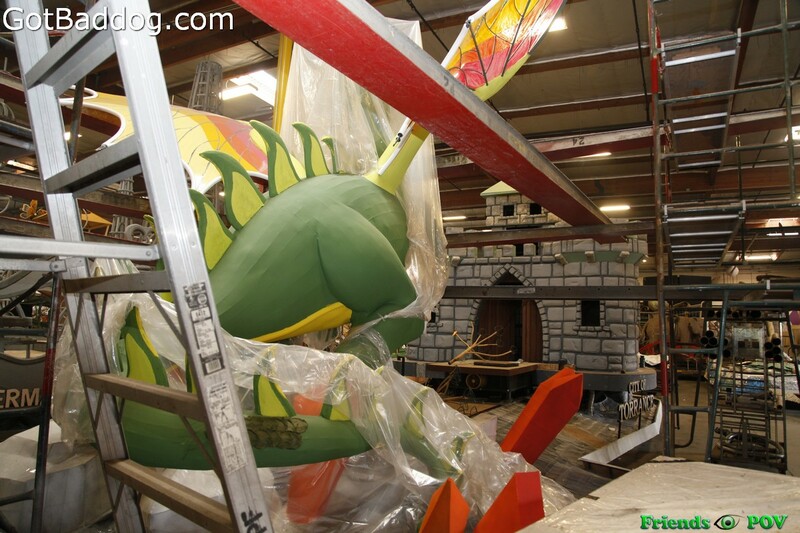 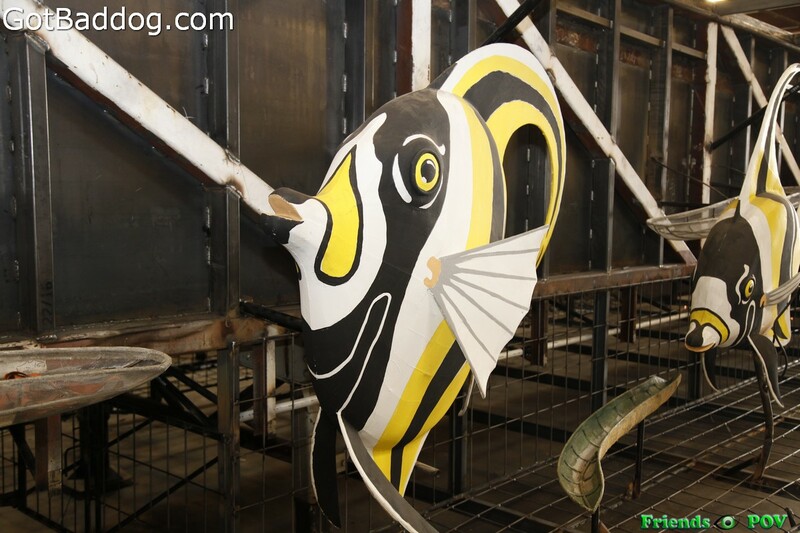 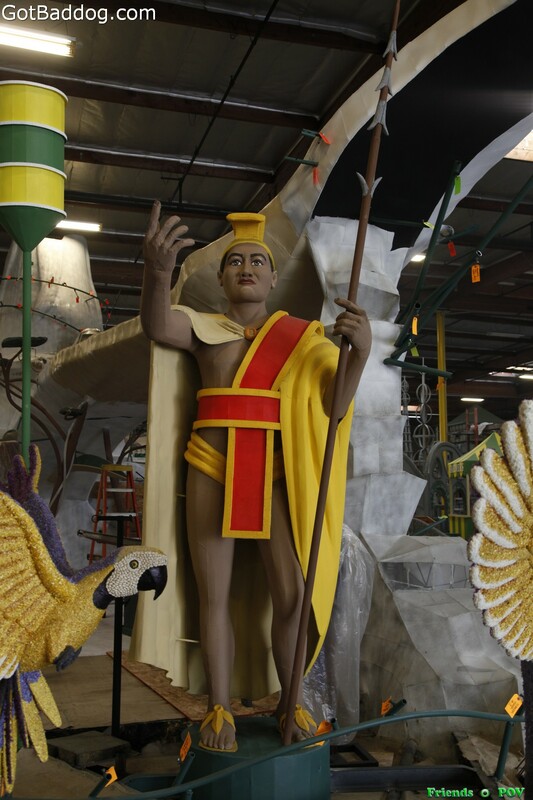 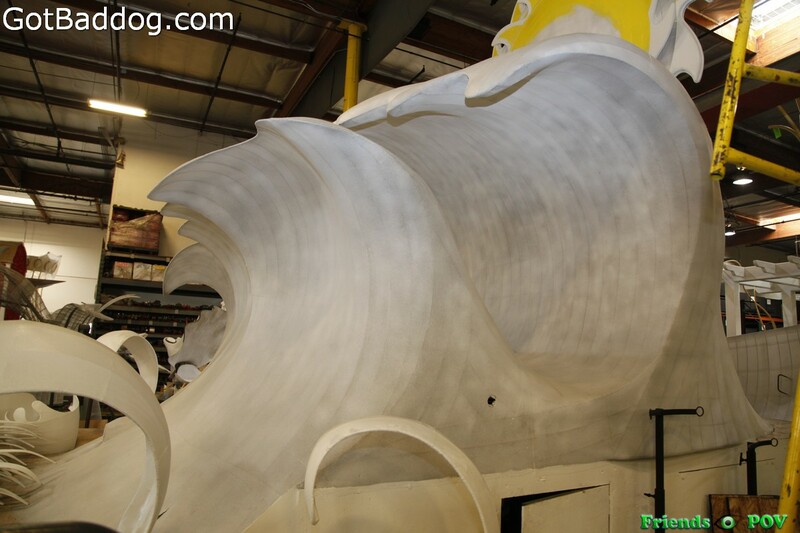 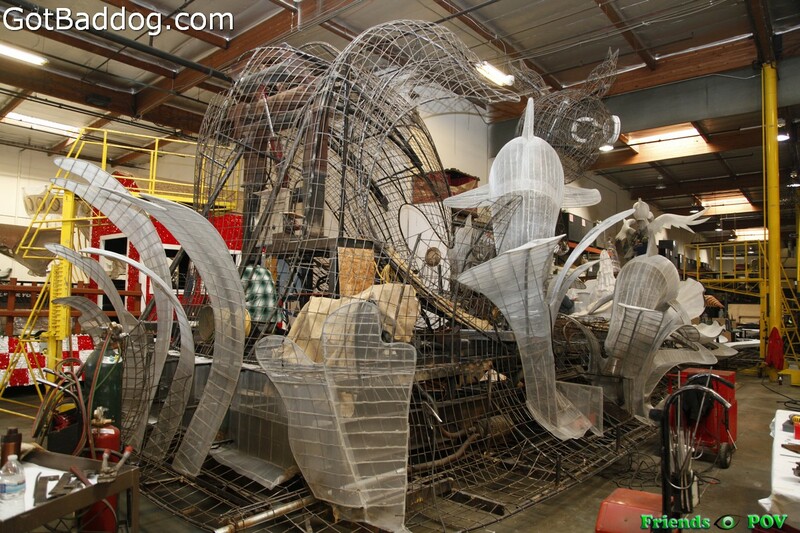 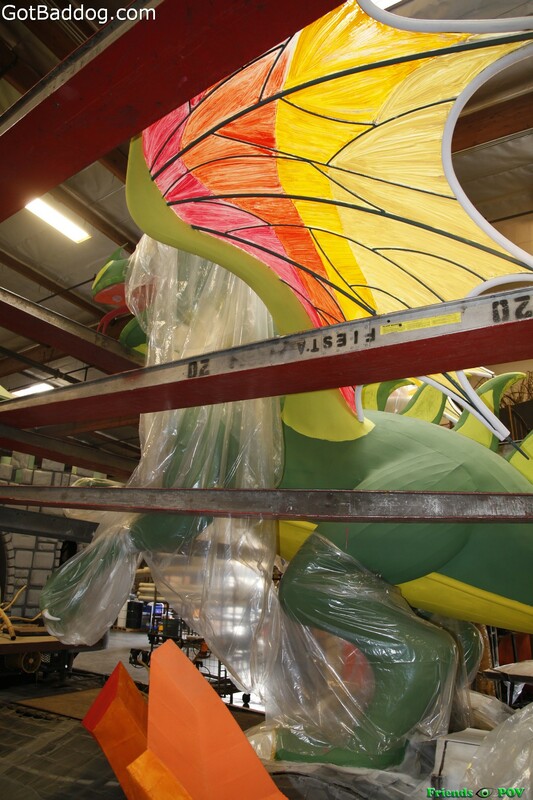 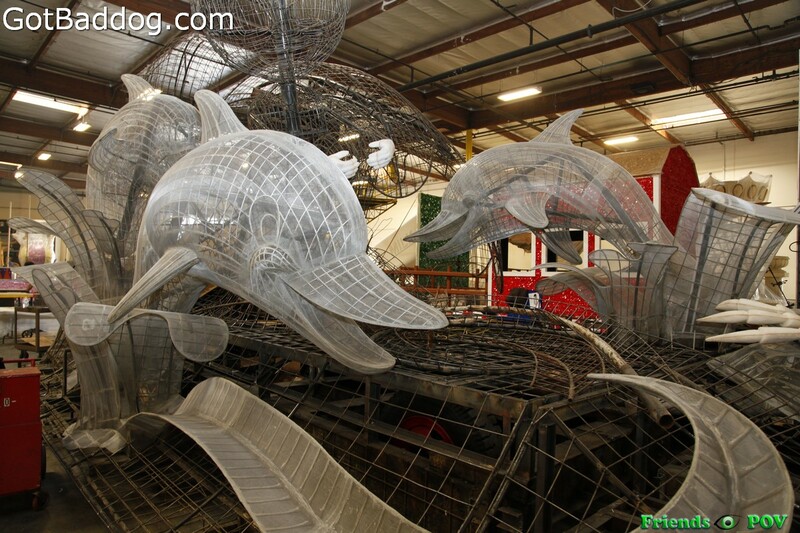 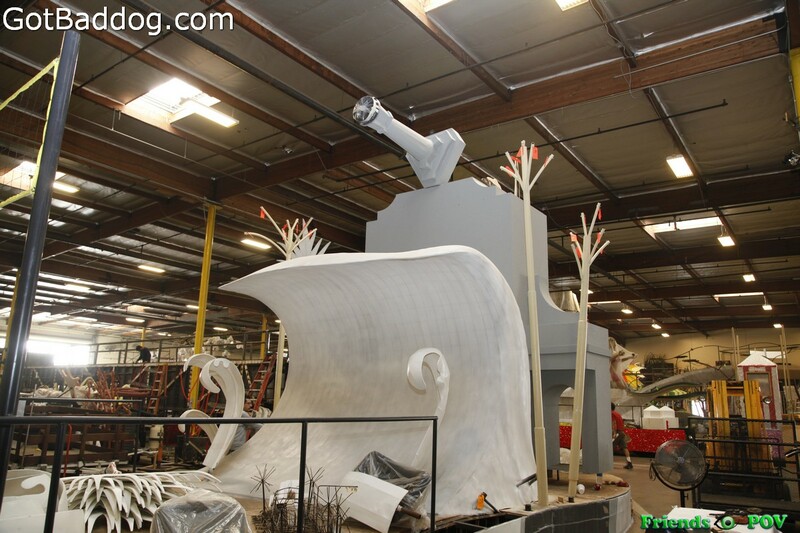 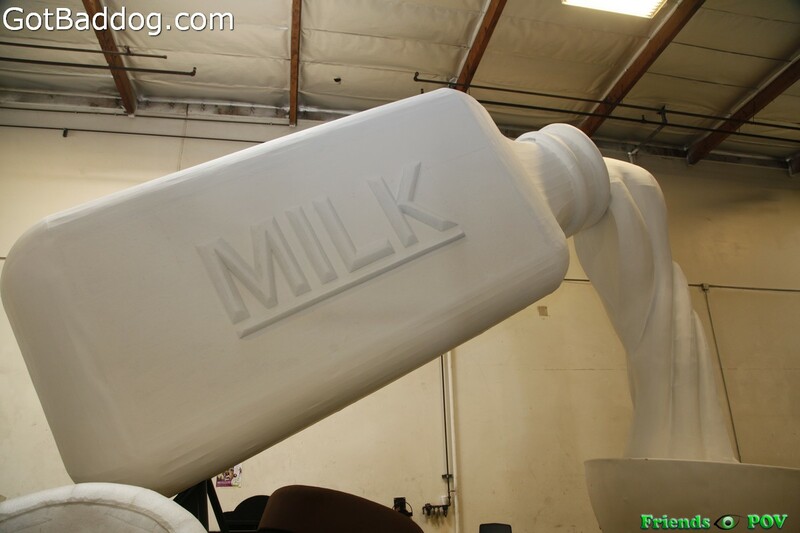 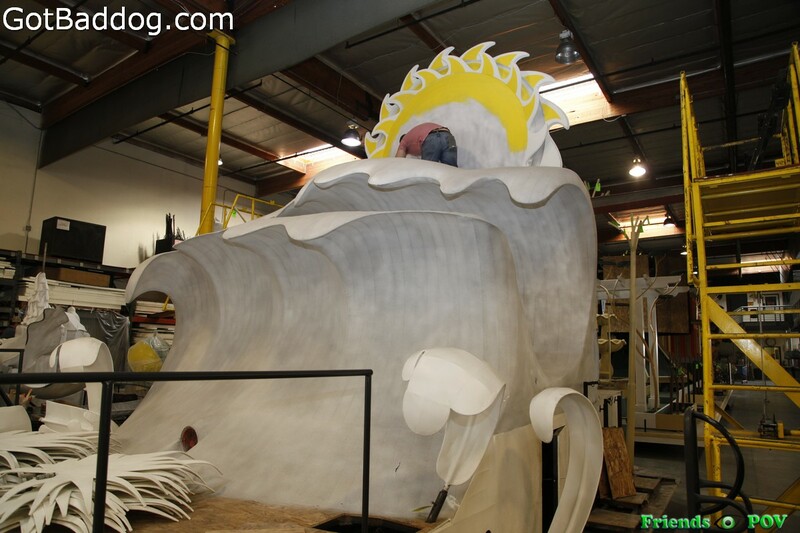 Judging of the floats, which is usually done on New Year’s Eve, will be done on New Year’s Day. 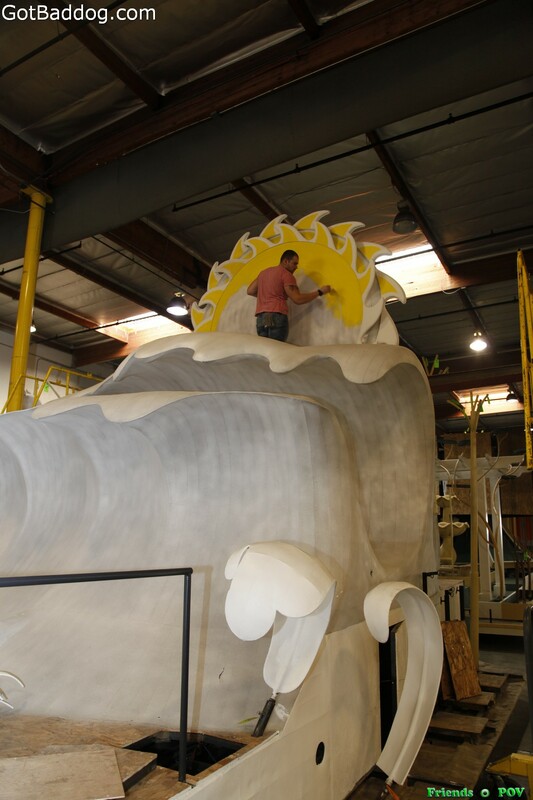 This means that while you are ringing in a new year and toasting with champagne, volunteers will be busy at work putting on those final touches for the next day’s judging. 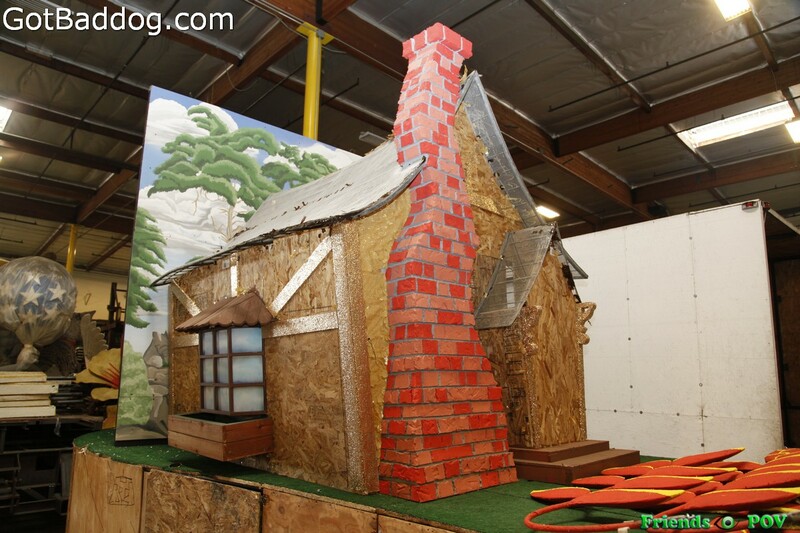 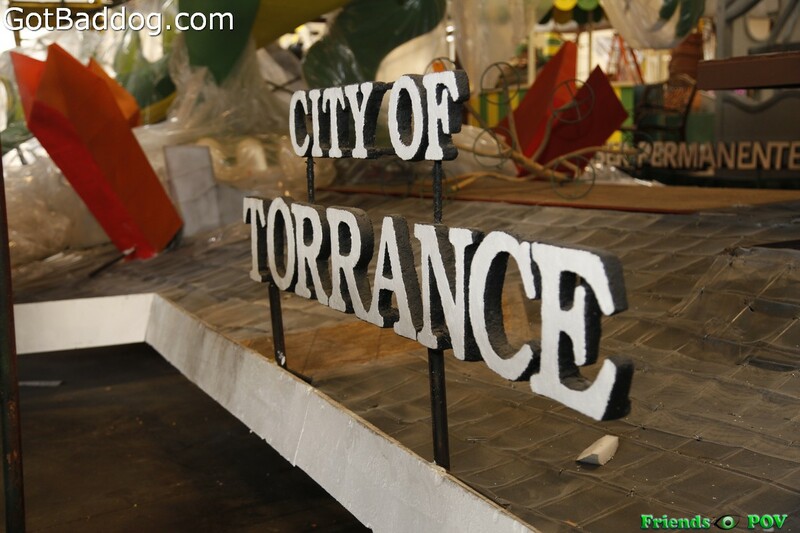 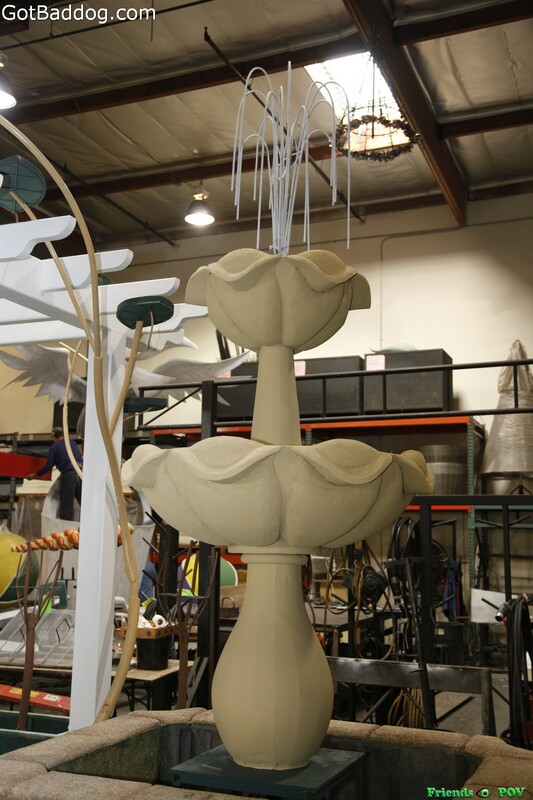 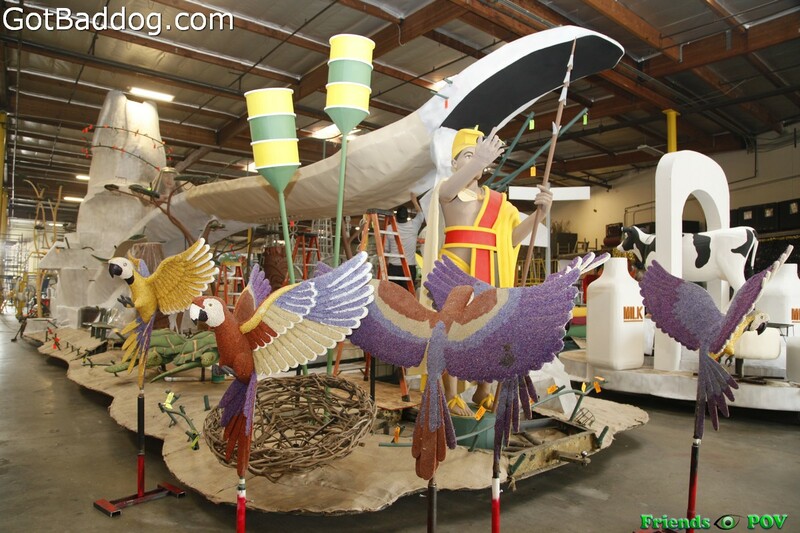 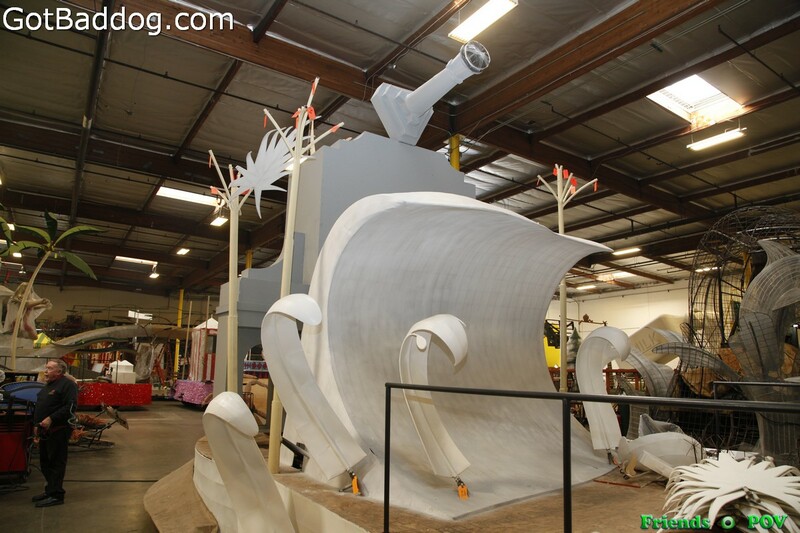 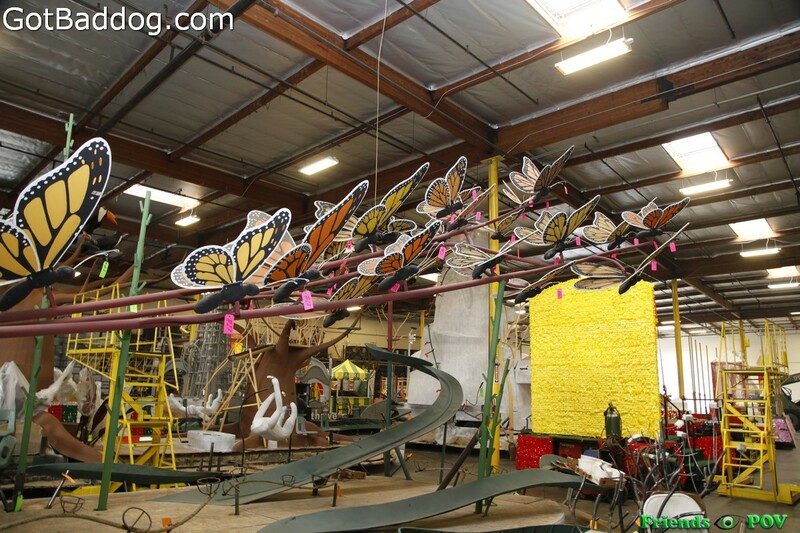 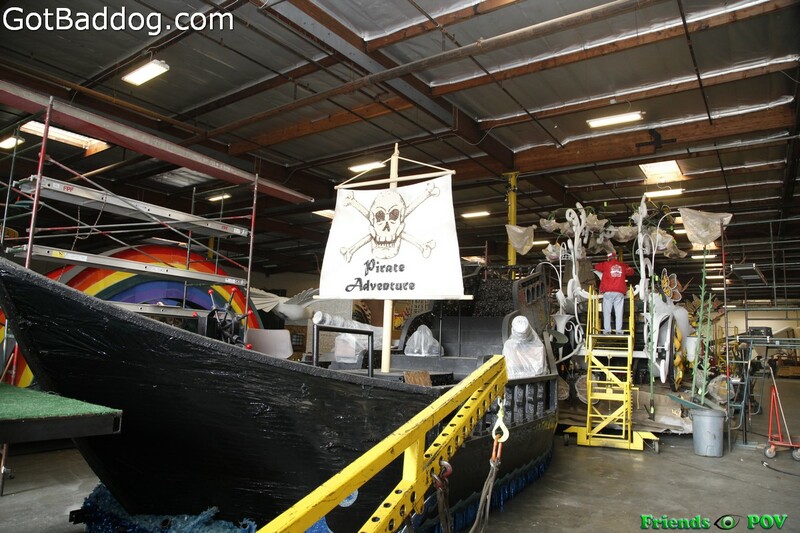 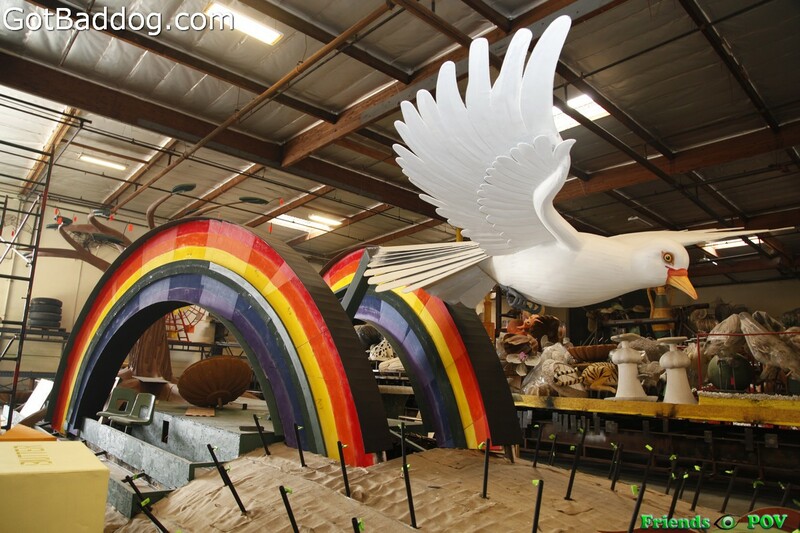 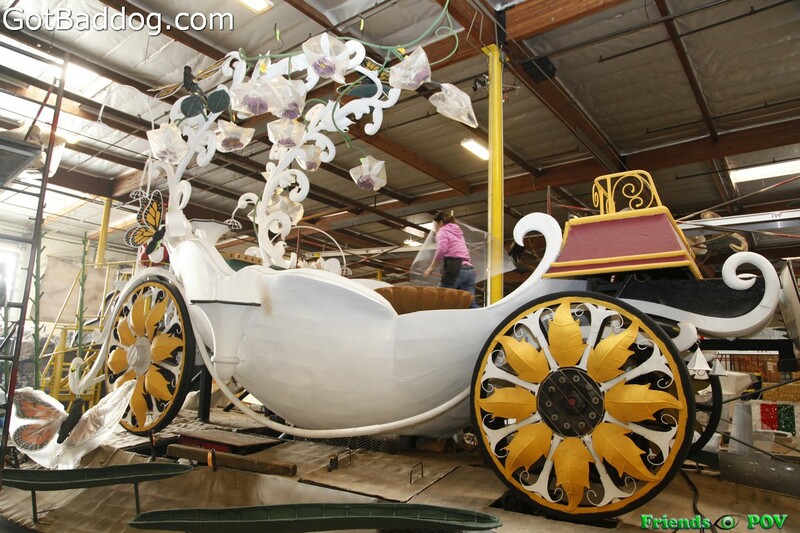 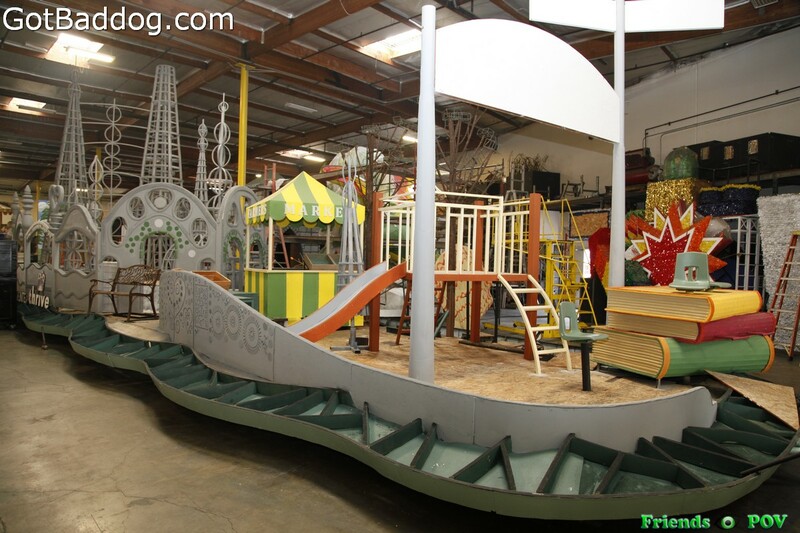 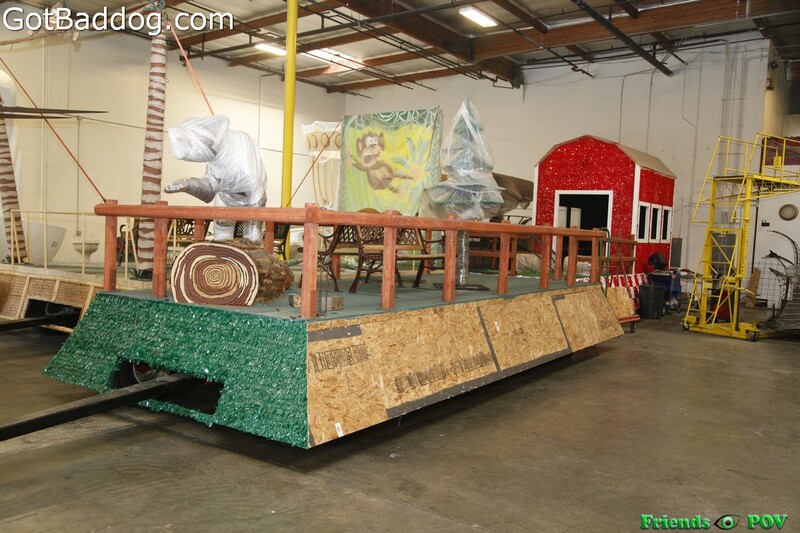 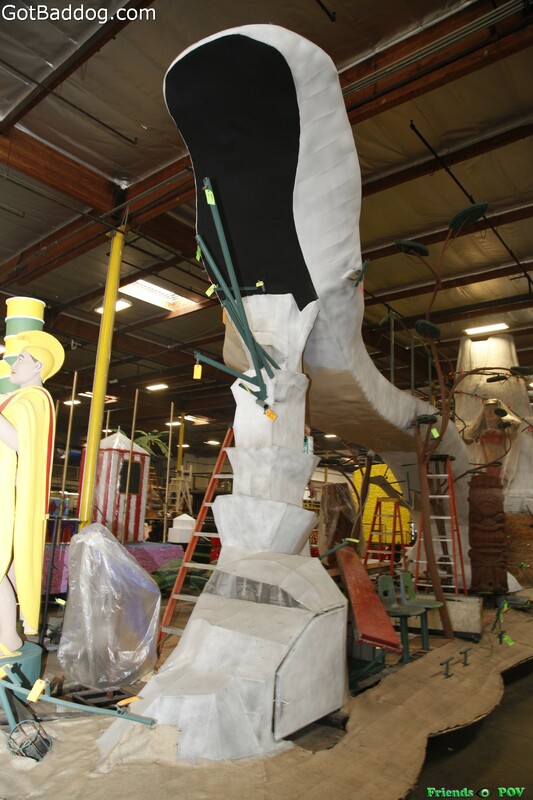 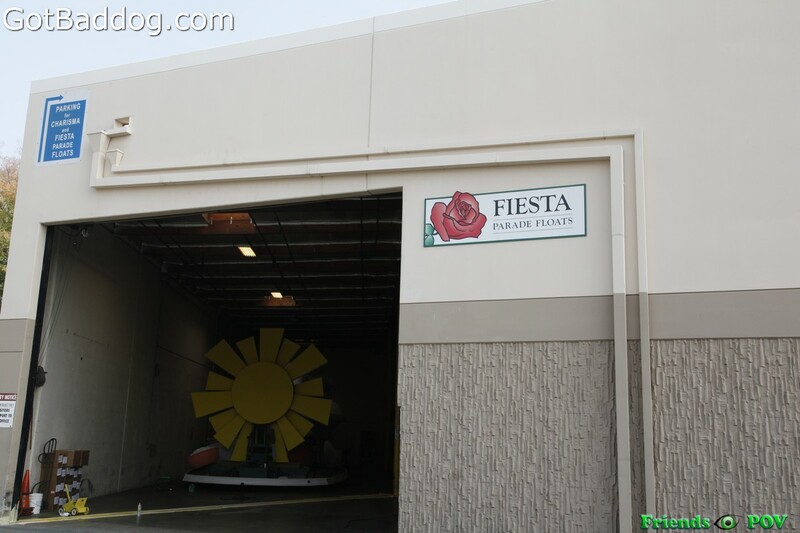 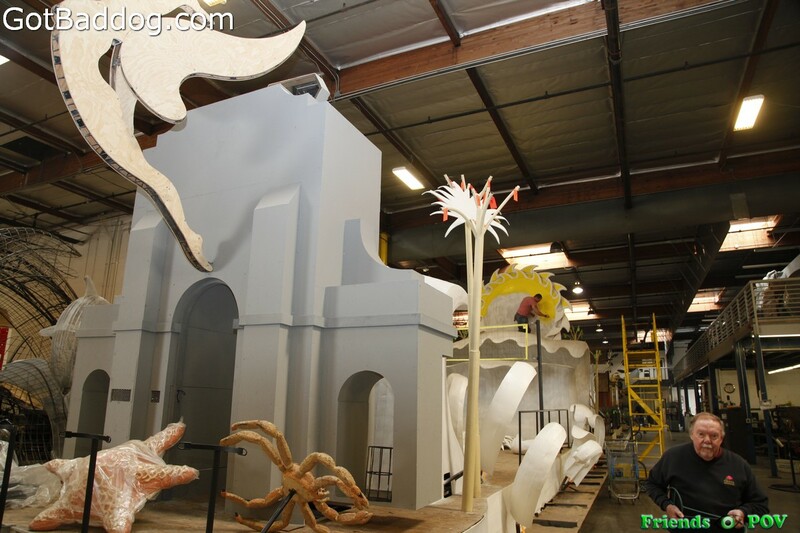 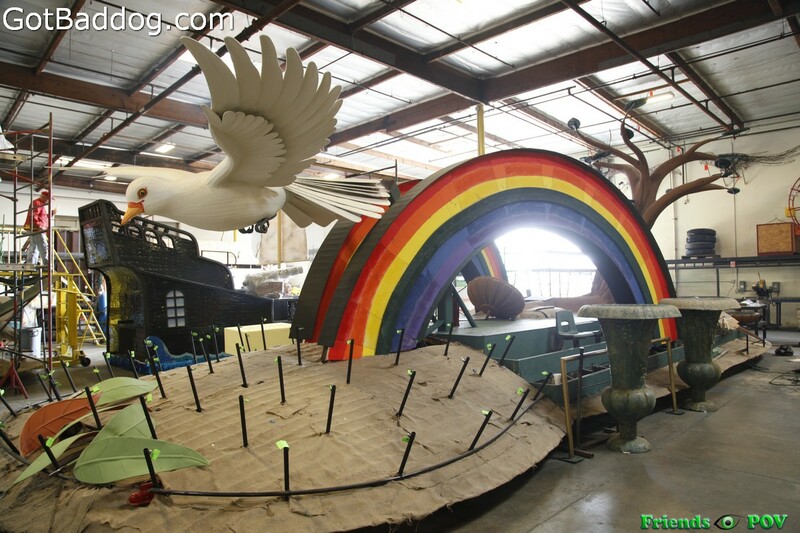 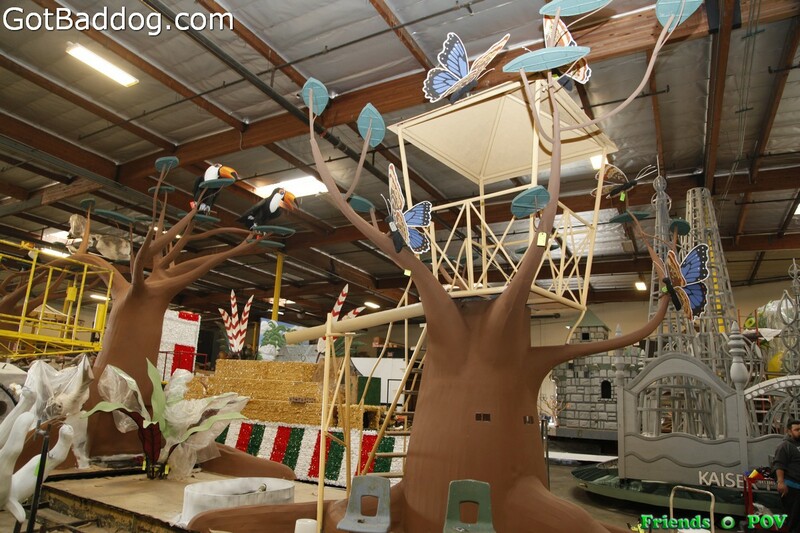 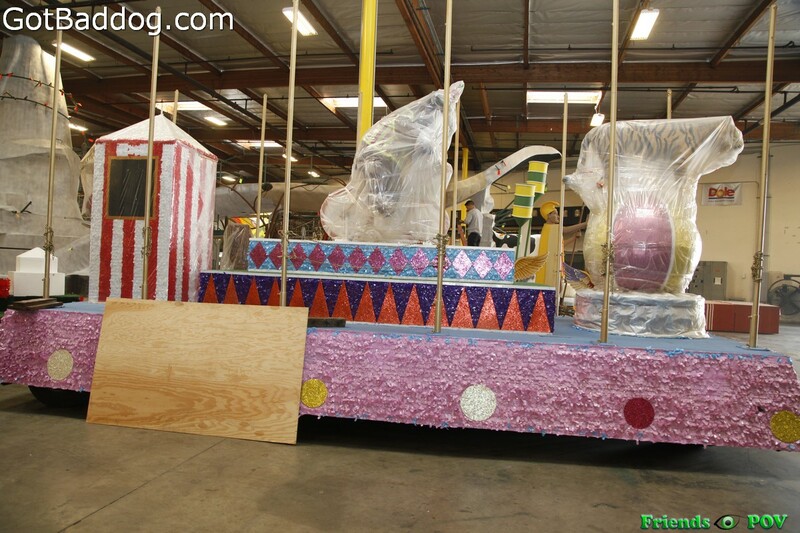 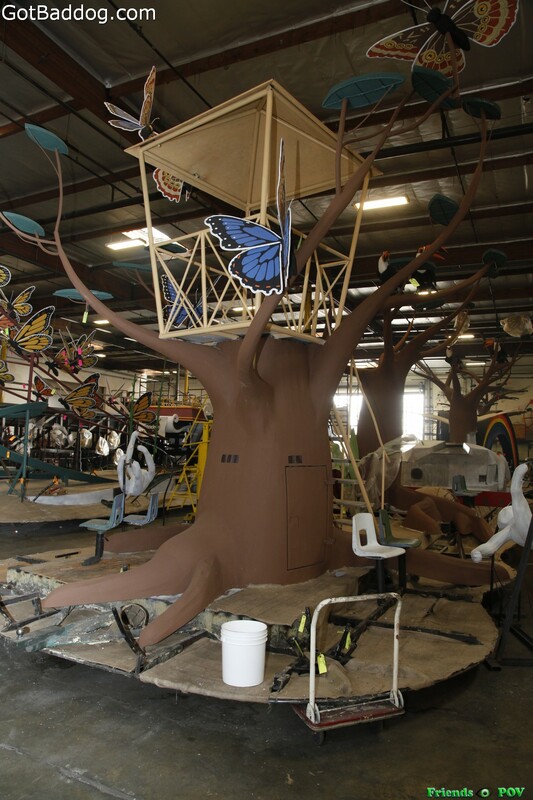 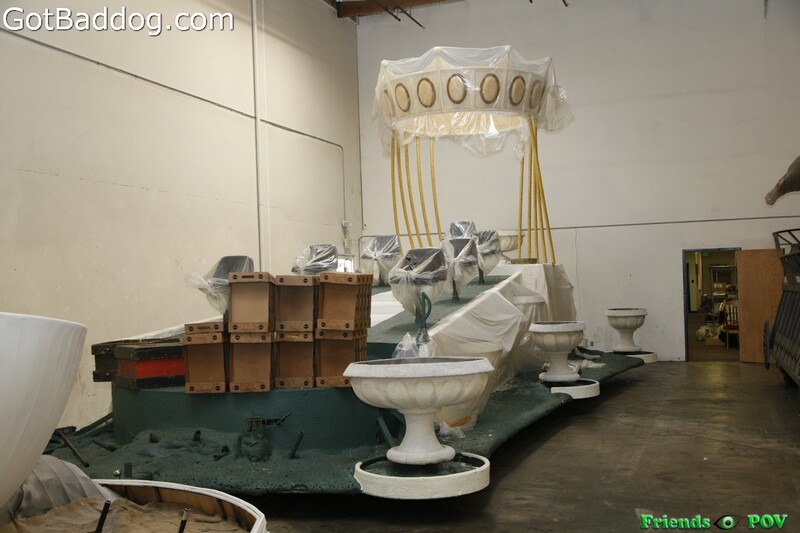 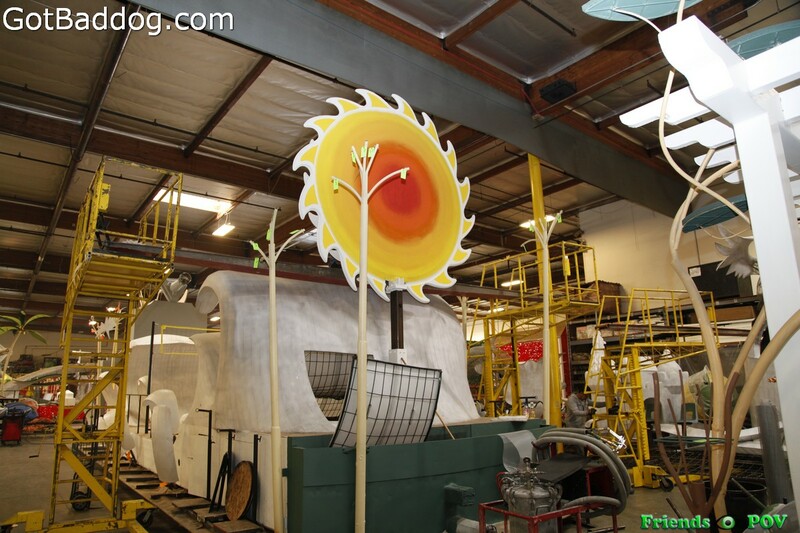 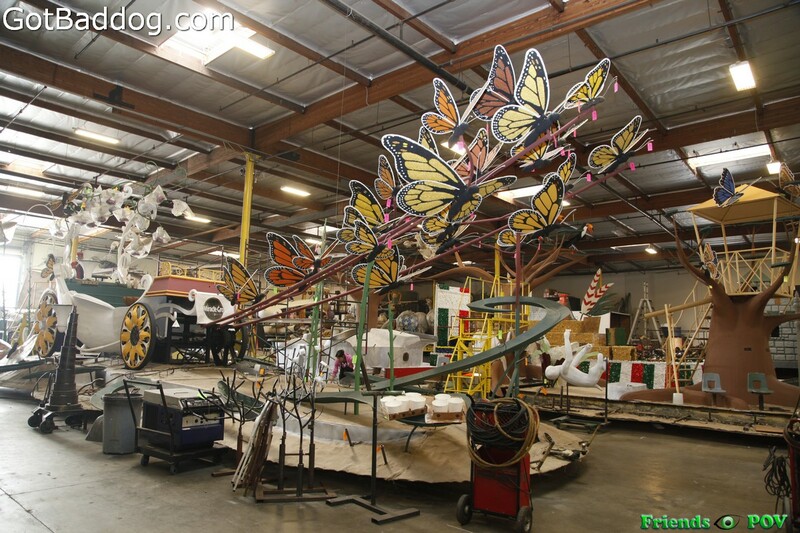 For residents of the City of Torrance, the Torrance Rose Float Association still has openings for volunteer decorators on the night shifts; from 4:00 to 10:00 PM. 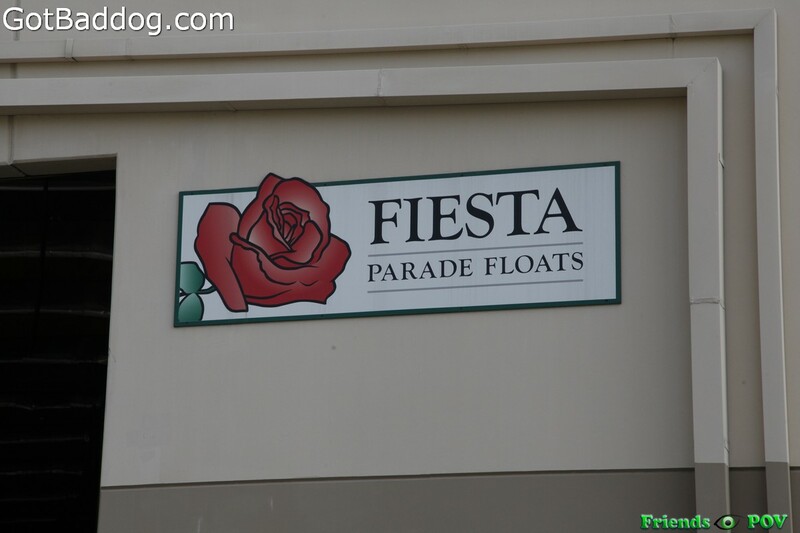 If interested, please visit http://www.torrancerosefloat.org/ for the sign up and membership forms. 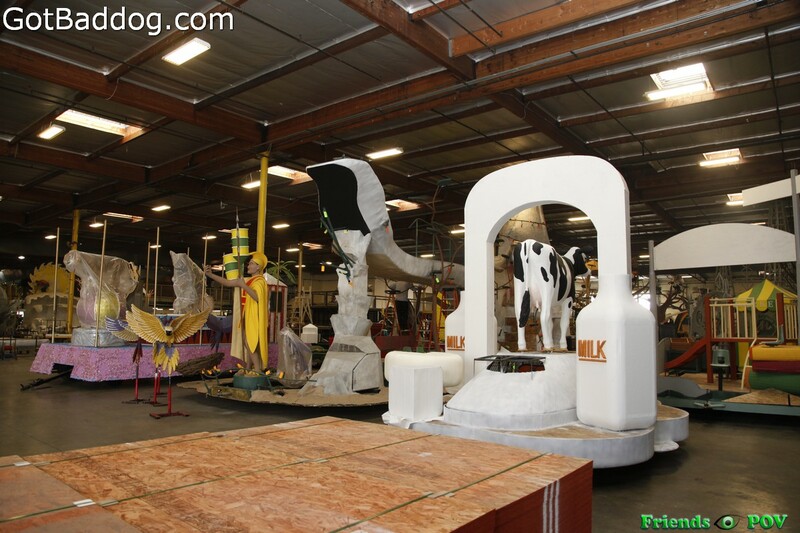 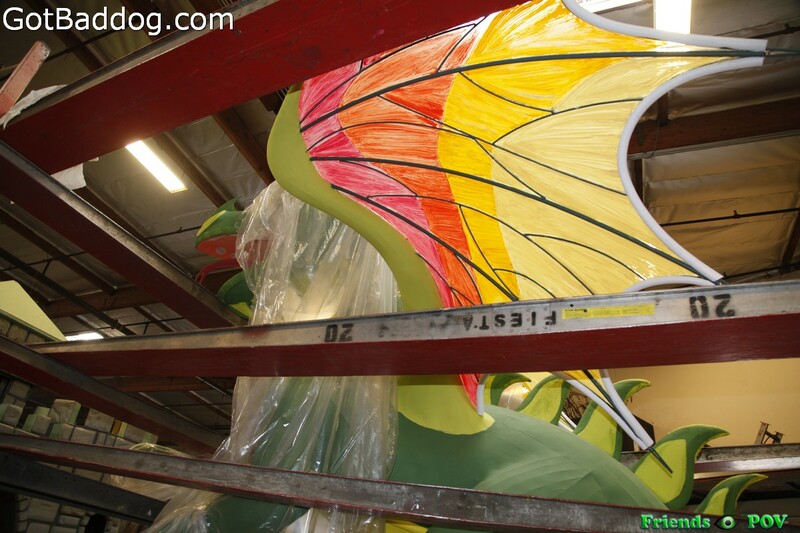 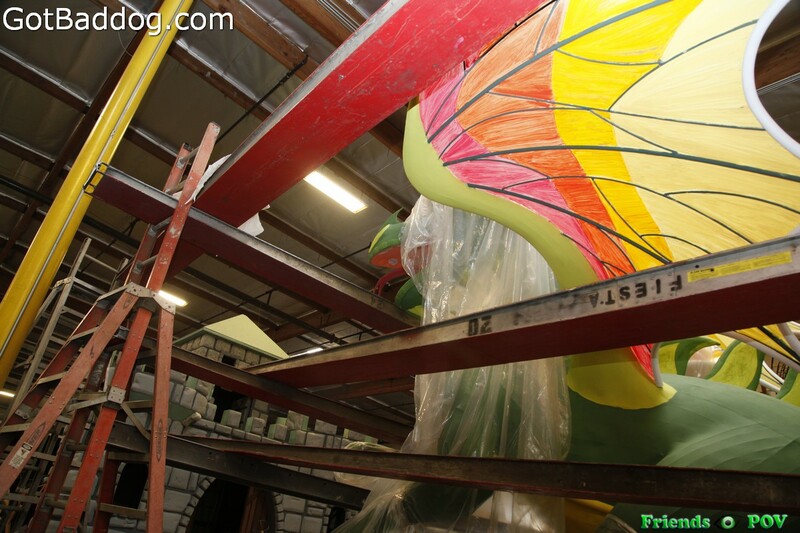 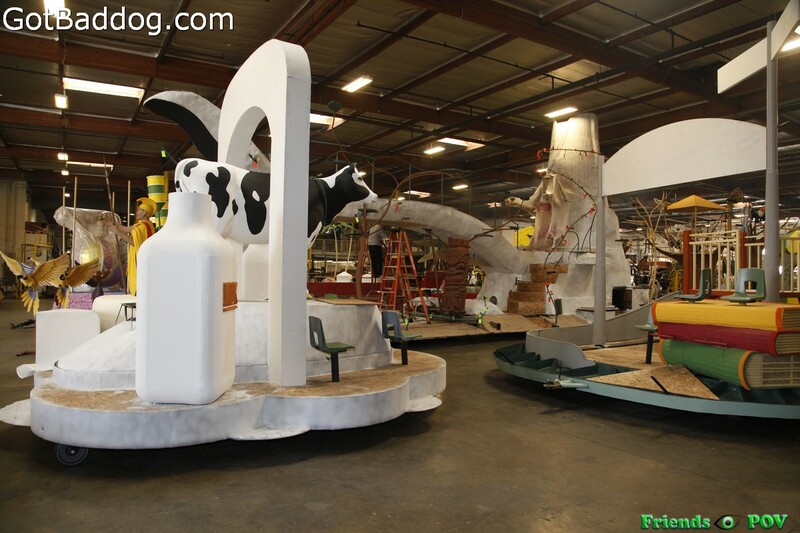 Thank you once again to Fiesta Parade Floats and The Pollack PR Marketing Group for granting me access to take these photos.